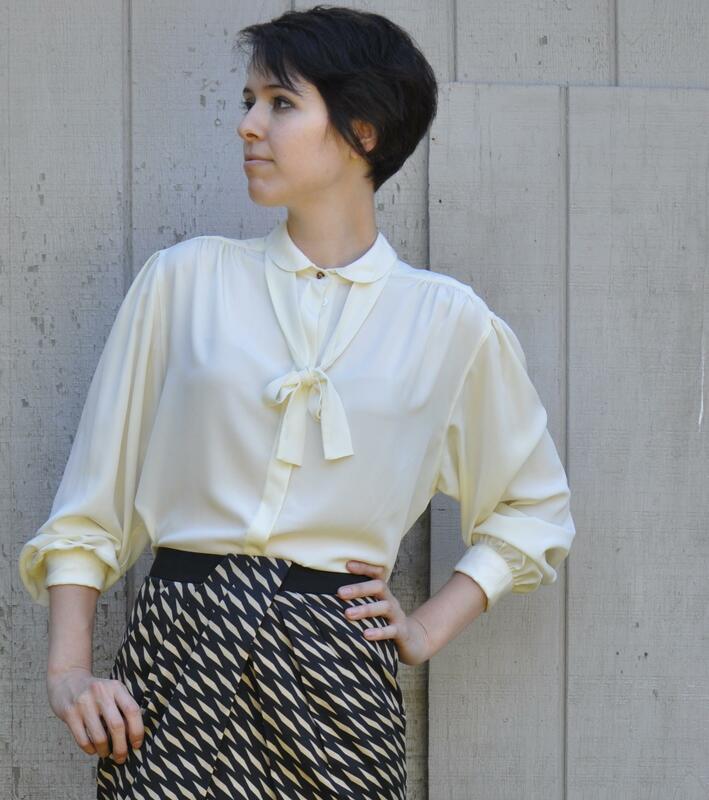 At Lise + Katina, this week is blouse week: we are featuring one every day in our shop! Every girl needs at least one or two to round out her wardrobe. 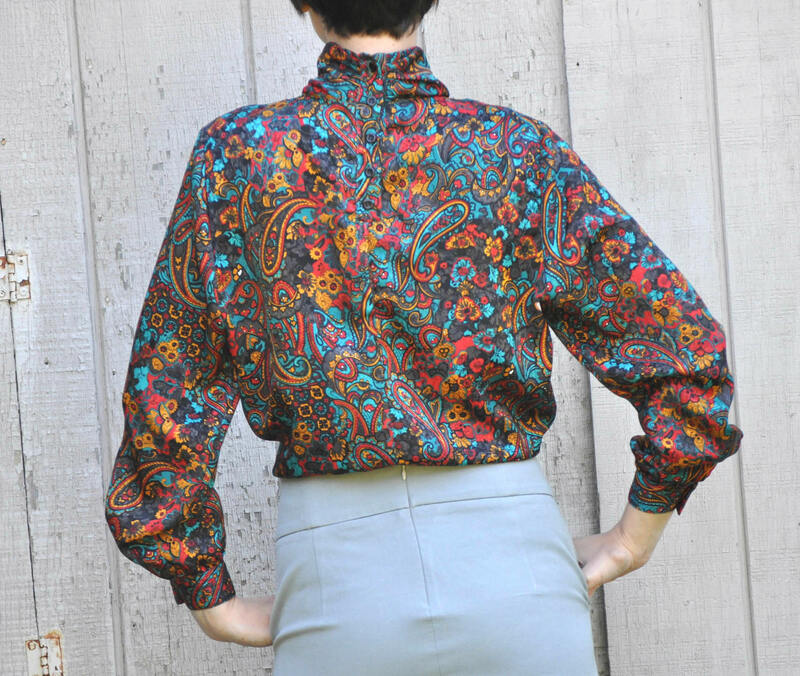 Simple, modern blouses are always nice to have around as office basics and easy casual pieces, but the unique details of a vintage blouse can bring a little something extra to your everyday looks! 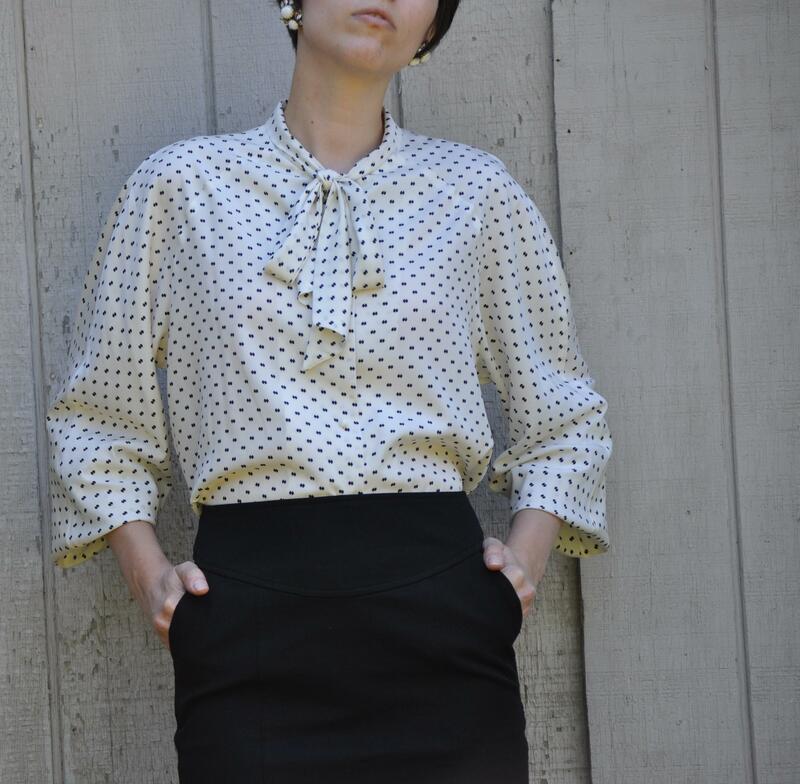 Antiqued buttons and retro dart and seam placements can make a vintage piece feel more special than a new one, and period styles like Peter Pan collars, ascots, or a sailor’s middy can turn a average outfit into an amazing one! 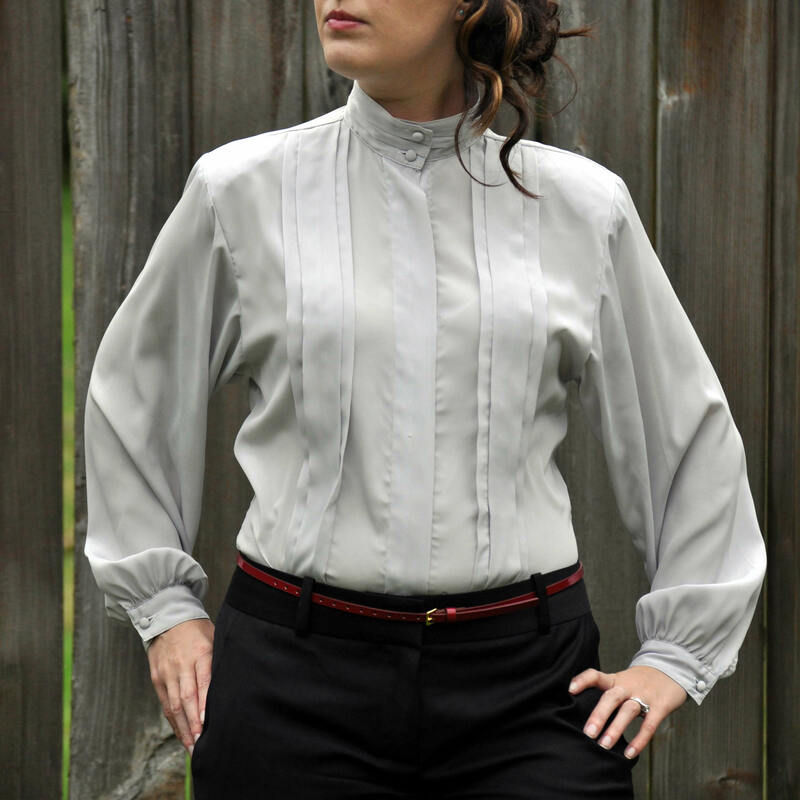 When searching for a vintage blouse that works for you, we try to consider fit first (and remember that a good tailor can do wonders at a reasonable cost! 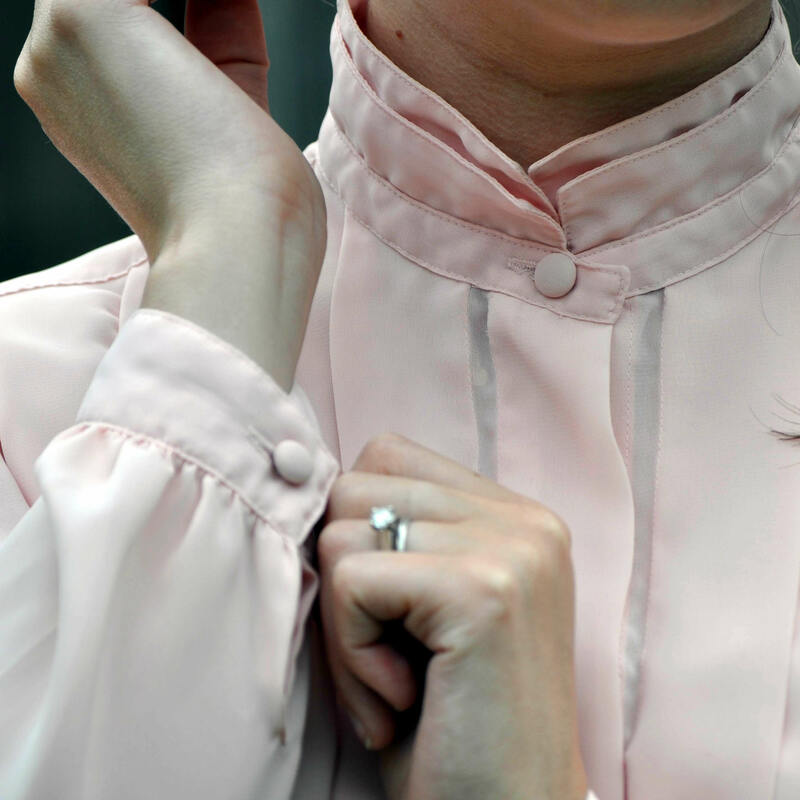 ), but then again, we love an over-sized blouse billowing over fitted trousers or skirts, so what you should really consider is how you will wear it, and what works best for you. How will you work it into your closet? To keep your outfits from looking dated try to incorporate only one or two vintage pieces, and keep the rest of the look modern. For example, pair a lacy high-necked blouse with a sleekly tailored modern pencil skirt, a pair of basic suede booties, and a small stack of delicate bracelets and rings – perhaps a blend of vintage and modern. This method of styling allows the beauty of your one-of-a-kind piece to shine without overpowering you with kitsch. 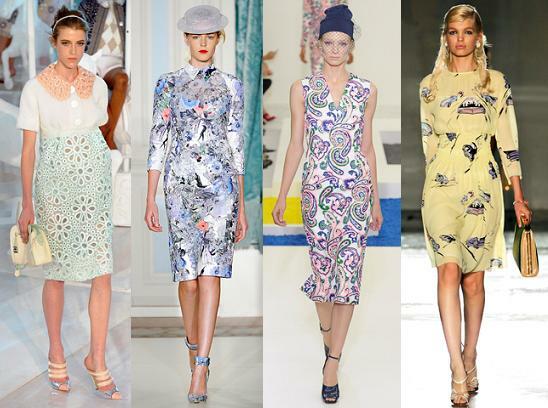 Get creative, and send us some of your own favorite looks too!